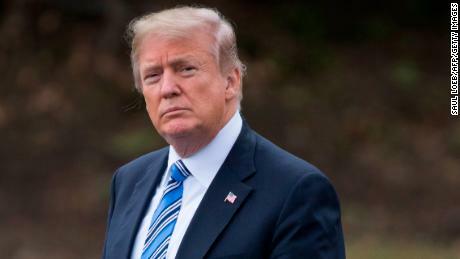 Home Latest US News Trump claims he wants Mueller findings public. Hmm. The President, with his talent for shifting the terms of a debate, weighed in on the fate of Mueller’s yet-to-be-filed final report before heading to Ohio on Wednesday. “I don’t mind. I mean, frankly, I told the House, ‘If you want, let them see it,'” Trump said when asked whether the American public had the right to see the fruits of the special counsel’s labors. Trump’s offer was surprising since it appeared to conflict with a long record of attempts to either obstruct or discredit Mueller’s investigation, which he has branded a “witch hunt” and something no President should suffer. 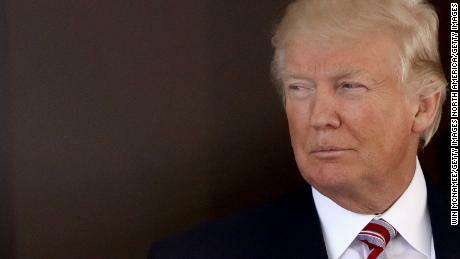 It also came amid concerns on Capitol Hill that the White House will try to gut Mueller’s findings before they can reach lawmakers and a new CNN poll showed that a huge majority of the public wants to see the results. But it’s hard to take his comment seriously, partly because it recalls his frequent statements that he’d love to sit down in an interview with Mueller, an offer that never appears to have been taken seriously by his lawyers. With his comment on Wednesday, the President could have simply been recognizing strong support among Americans for a public accounting of Mueller’s work — in the belief that he could not shape it without first acknowledging it. The President’s sincerity is also called into question by a tweet last weekend that appeared to signal he was more interested in going through the motions of accountability than adopting it as a practice. “On the recent non-binding vote (420-0) in Congress about releasing the Mueller Report, I told leadership to let all Republicans vote for transparency. Makes us all look good and doesn’t matter. Play along with the game!” Trump wrote. Trump’s Democratic foes don’t really think he wants the Mueller report made public. “I don’t believe him because he has obstructed every step along the way,” Democratic Rep. Eric Swalwell of California said on “Erin Burnett OutFront” on Wednesday. Much of the White House’s strategy, once Mueller has filed his final report with Attorney General William Barr, will depend on what it says. Trump insisted on Wednesday that he did not know what was in the report, and it’s not clear whether he has been briefed by subordinates read in on the investigation, for instance, former acting Attorney General Matt Whitaker. If the report ends up being critical of the President — after an investigation into alleged cooperation between his campaign team and Russian election meddling and claims he obstructed justice — Trump will have a strong incentive to suppress it. A less damaging result would give the White House the chance to turn on a dime after months attacking the special counsel, by using Mueller’s sterling personal reputation to its own benefit. Assessing the battle to come is also difficult because no one knows what form Mueller’s conclusions will take. He could elect to provide Barr with a bare-bones explanation of why he chose to pursue some Trump associates, such as former campaign chairman Paul Manafort and ex-national security adviser Michael Flynn, and not others. Or, given the intense public interest in his investigation, Mueller could deliver a more expansive assessment. It will then be up to the attorney general to decide what Congress, or the public, can see. There’s another reason why Trump’s backing for a public release of a Mueller report should not be taken at face value. While suddenly throwing up a trial balloon of cooperation, the White House is girding for a period of political confrontation once the Mueller probe ends. CNN’s Pamela Brown reported this week that White House lawyers expect to see whatever version of Mueller’s findings Barr decides to send to Congress. Scrubbing the report for executive privilege claims is well within the purview of the White House counsel’s office — after all, their charge is to defend the institution of the presidency, not the individual President they serve. But the chance for the White House to view the report ahead of its release to lawmakers will certainly spark a clash with Democrats who believe Trump’s team will do everything it can to suppress Mueller’s final conclusions. And sweeping claims of executive privilege could trigger an intricate legal battle that could go all the way up to the Supreme Court, and put off any day of reckoning for Trump in Congress for months, even if the report brings bad news. Another issue is that as much of Mueller’s investigation represents a counter intelligence probe into election meddling by Russian spy agencies, some findings might need to remain classified. The struggle over disclosure is already getting a preview. Democratic committee chairmen are struggling to get the White House to comply with document requests to support their massive investigations into Trump’s campaign, transition, inaugural committee, business and presidency. “I want the public to understand us as we paint this picture of what is happening in our country, the stonewalling, the lies,” House Oversight Chairman Elijah Cummings told CNN’s Manu Raju on Wednesday. “I do not want us to be distracted from the truth,” he added. The White House has also missed a deadline to provide documents to the House Judiciary Committee. The plan is clear: Delegitimize Mueller personally and professionally, paint his findings as a deep state coup that trashes votes of his millions of Trump supporters, and argue that he’s bulletproof since he’s doing such a great job. “It’s sort of interesting that a man out of the blue just writes a report. I got 306 electoral votes against 223. That’s a tremendous victory. I’ve got 63 million votes, and now somebody just writes a report. I think it’s ridiculous.” Trump said Wednesday. 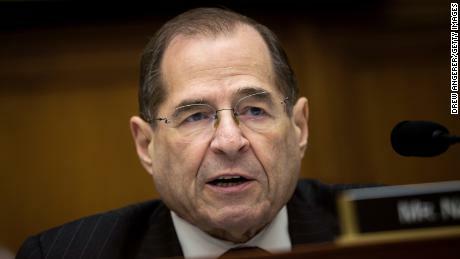 His line of attack helps explain the strategy adopted by House Speaker Nancy Pelosi when faced with demands from the Democratic grassroots for the impeachment of the President even before Mueller’s report. “He’s just not worth it,” Pelosi said in a Washington Post interview earlier this month. The speaker believes the process of impeachment is so damaging to the nation’s political fabric that unless there is some truly grievous offense uncovered by investigations, the proper remedy for a presidency she sees as unethical and disastrous, is at the ballot box. In December, 80% of self-identified Democrats said they were in favor of impeachment — that now stands at 68%, a 12-point dip.